There are many reasons that I am happy that Ethan enlisted in the army; providing me with months of material for my blog is only one of them. This week I’m going to give Ethan a rest – something that he says that he is sorely and literally in need of as he looks forward to graduation from basic training this Thursday – and turn my attention to the home front (actually the front room) of our little condo here in Sonoma County. In our old house, the Christmas tree was placed in front of a huge window. And because the house was at the top of quite a steep street, everyone driving up the hill could see our tree glowing in the window. Neighbors used to tell me how cheery it looked to see our brightly lit tree like the tip of an arrow pointing the way home. In our cozy condo, window and wall space are in short supply, so with the help of a twelve foot extension cord threaded under the couch to the wall outlet, the tree sprouts out of the middle of the room. 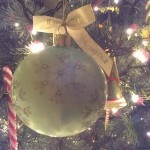 Although I miss being able to see the decorated tree from the outside, I like being able to have a 360 degree view of it. Since there is not a back to the tree where I can hang all the ugly ornaments, I tossed the dregs of the decorations that were at the bottom of the cardboard box. No more chipped balls rolling around, faded holly leaves and Nutcracker soldiers missing a loop and an arm. 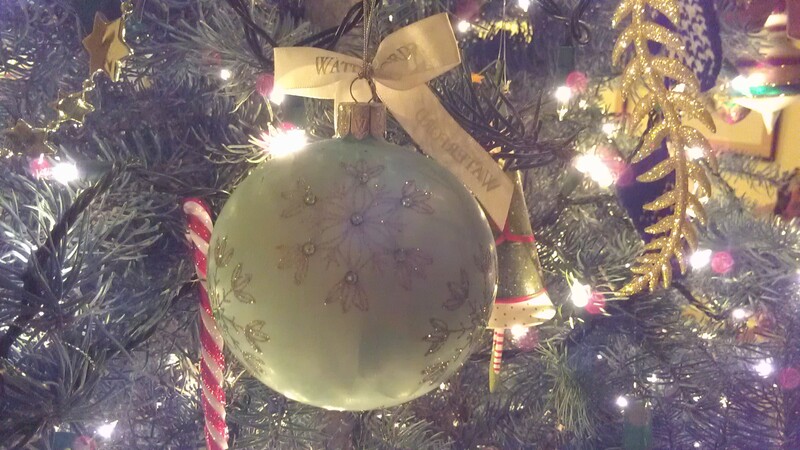 So now, every ornament I look at on the tree makes me happy – there aren’t any of the “I always hated that one.” Each one brings back the moment in time of where we were when we bought it, or who gave it to us, or what was happening in our lives that particular Christmas. There are little glass balloons that Steve and I ordered from a Horchow catalog when we had money and no kids. 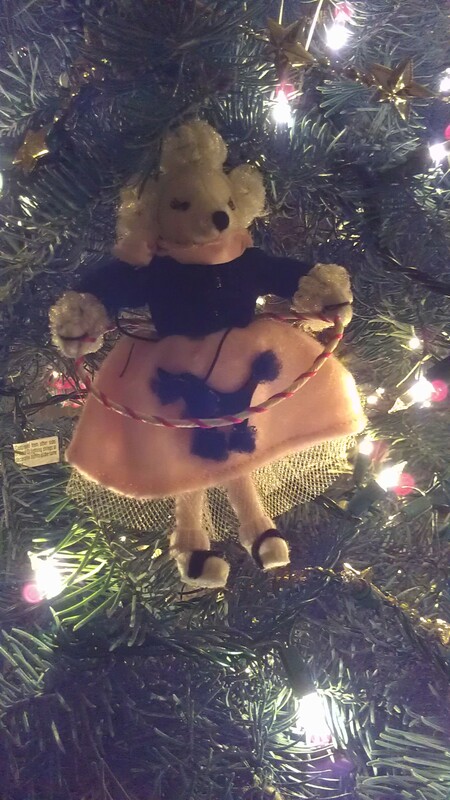 There are beautiful Waterford ornaments that a dear friend gives me every year. 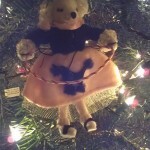 Next to the poodle in a poodle skirt ornament that Valerie picked out at a store on Kentucky Street shortly after we moved to Petaluma is a charming felt cutout that Jennifer and I bought at Target for $1.99 last year. I remember standing in the store and picking it out, still feeling shell-shocked from moving out of our house a month earlier. Taking time to reflect; that’s a beautiful part of Christmas. This entry was posted on Monday, December 3rd, 2012 at 10:29 pm	and is filed under Christmas, Family. You can follow any responses to this entry through the RSS 2.0 feed. You can leave a response, or trackback from your own site.